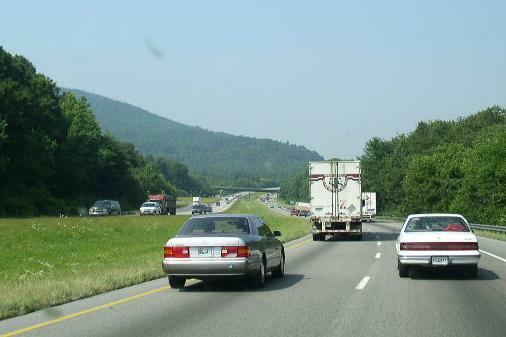 Interstate 24 is one of, if not, the shortest interstate highways in the State of Georigia. It dips into the state from Tennessee for about five miles. 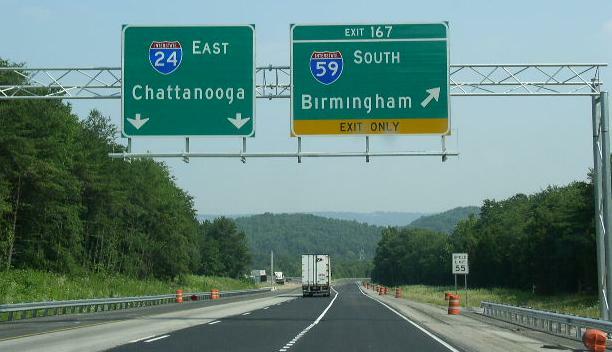 While in Georgia, I-24 has two exits. 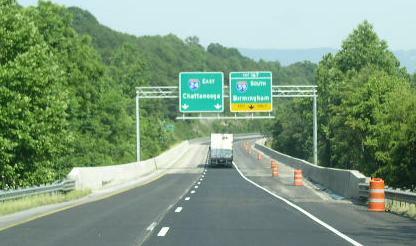 Being it is in the state for a short while, it keeps the Tennessee exit number. While in Georgia, I-24 is not multi-plexed. 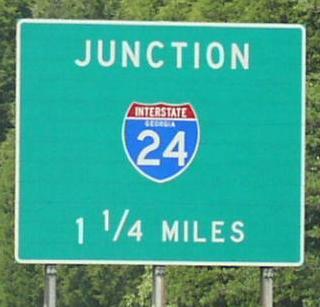 In Georgia, I-24 crosses the following interstate. 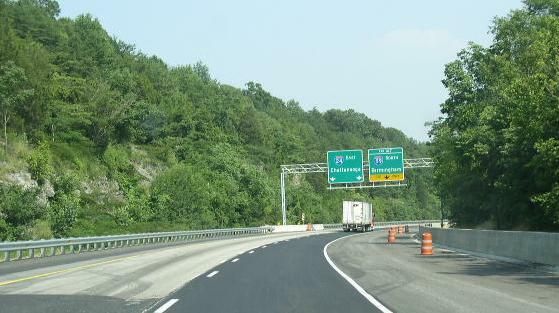 EB I-24 at one of the first overheads for the interchange. A close up of the BGS's on the overhead. EB I-24 near another overhead. EB I-24 near the interchange with I-59. EB I-24 at the gore point. EB I-24 goes to the left, SB I-59 goes to the right. 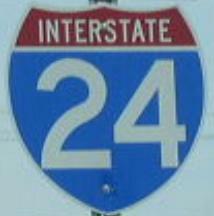 There are no branches of I-24 in Georgia. Junction sign on NB I-59. EB I-24 near M.P. 169.